I often hear complaints by users who are not satisfied by the wide-screen monitors and prefer traditional screen ratios of 4:3 and 5:4. Unfortunately, such monitors now are quite rare and the laptops with such screens are completely wiped. Most of the people to whom I spoke (and I myself) do not use laptops to watch TV broadcasts or HD films because we have TVs and computers with much bigger screens, which are more suitable for the purpose. I have heard several theories proposed by the disappointed users to explain such an overwhelming transition by all manufacturers to the wide screens without leaving the users any options. Use of TV matrices. According to this theory, the producers of computer monitors switched to use wide screens because of the availability of a lot of of cheap matrices being mass produced for new generation HD TVs. Producing one kind of a matrix for all devices is cheaper than producing one kind for TVs and the other for computers. This theory does not explain why the laptop producers also switched to wide-screen, because small-sized matrices are not widely used in TVs. It also does not explain why initially the ratio 16:10 became popular instead of 16:9 used in the TVs. Nor does it explain why TVs mostly use BGR pixel ordering while the computers mostly use RGB (although some matrices probably can be turned 180 degrees). Cheating. Because the monitors were sold for price per inch of diagonal size, the manufacturers after transition to wide screens could sell a monitor with smaller matrix area for better price. This theory does not explain how wide screens became popular on devices where "per inch" pricing makes no sense (i.e. portable devices). Nor does it explain how it is cheaper to buy a 1920x1200 monitor than a 1600x1200 one, so that a person who wants a 4:3 monitor is forced to buy a wide screen one because it is cheaper and then use it with resolution 1600x1200. Small vertical viewing angles. This theory suggests that the cheaper TN matrix types used in modern monitors have small vertical viewing angles while horizontal angles are much better. So when using a monitor with high vertical size the image at the top and bottom of the screen appears to have the wrong colors. This theory does not explain why if a vertical a viewing angle is good for 1920x1200, it is bad for 1600x1200. It also does not explain why high-end medicine and industrial monitors such as Eizo RadiForce who always used matrices with high viewing angles in all directions are also undergoing a slow transition towards wide screens. So what were the actual reasons behind such a total transition in all areas without leaving a possibility of choice? By cutting everything in the same aspect ratio, they have less waste per large sheet of glass. Market for 1080p (TVs + 1080p PC Monitors) is bigger than 1920x1200 monitors. Marketing: 1920x1200 has a bigger resolution than 1920x1080 however average Joe will just see the "FULL HD" on the 16:9 monitor and realize that it is the best monitor since he knows that his FULL HD TV is the best you can get. To help converge TV, consoles and computers into a single entity. Benefits and some history about Square to Wide screens transition: From HP Sizing up screen differences What is the difference between square and widescreen monitors? So why the change to 16:9? The truth is, that 16:9 panels are slightly cheaper to make, thus by switching to 16:9 from 16:10 the manufacturers are able to make a higher profit. Some people claim that this lowers prices – but in reality it doesn't, what lowers prices is the trend towards generally lower electronics prices – as well as the consumer demand for lower prices. No manufacturer will change the price of a laptop due to the aspect ratio change; at best the price will stay the same because of marketing reasons. From late 2008, vendors such as BenQ began to recognise that 16:9 panels were cheaper to manufacture, and the aspect ratio became the adopted standard. 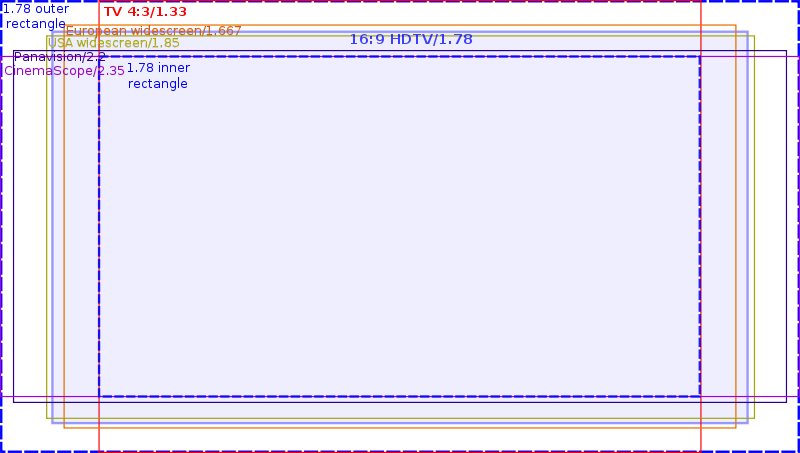 Powers cut out rectangles with equal areas, shaped to match each of the popular aspect ratios. When overlapped with their center points aligned, he found that all of those aspect ratio rectangles fit within an outer rectangle with an aspect ratio of 1.77:1 and all of them also covered a smaller common inner rectangle with the same aspect ratio 1.77:1.1 The value found by Powers is exactly the geometric mean of the extreme aspect ratios, 4:3 (1.33:1) and 2.35:1, which is coincidentally close to 16:9 (1.77:1). Cheaper components for wide screen due to the volumes produced for TV. Yes, this doesn't apply to laptops for the matrices, but it does apply to much of the electronic hardware. The average user tends to consume a lot of video content on their computers and laptops now, and wide screen monitors better match most video content formats. Hence wide screen computers and laptops tend to sell better than general ones. For many tasks this is sub-optimal, but for mainstream consumers it's a better compromise. For laptops, wide screens better match the dimensions of a laptop base with a full sized keyboard and trackpad than a squarer screen. This is especially true with smaller laptops and netbooks. 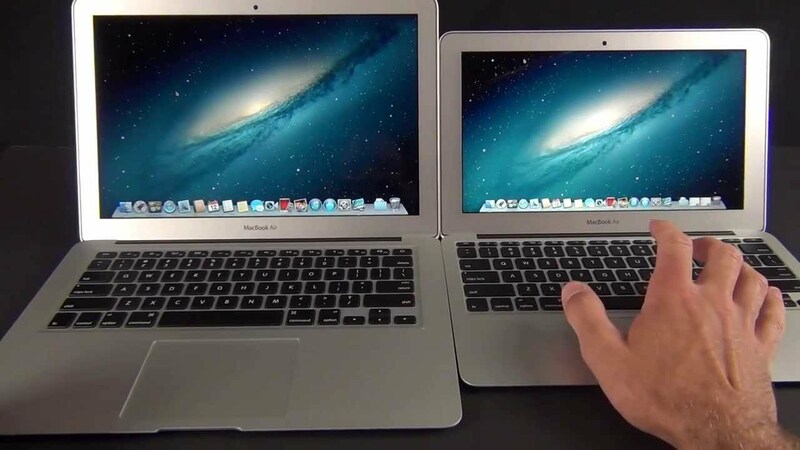 It's also why the 11 inch MacBook Air has a relatively wider screen than the 13 inch model. It has to do with Shipping and cargo. The price of shipping is going up. To beat the shipping costs and wild weather recently experienced, something had to be done about getting more money per "slice" of electronic. To do that, they had to change dimensions of the objects being shipped. Most ships on the open waters are long but not wide. Same has happened to our monitors on TVs, laptops and smartphones. Sum it up to "the logistics of things". Post 2001, it seems the governments felt a need to get electronics into everyone's life. With that rapid shift into pushing everyone into the world of electronics, there had to be changes made in dimensions of those electronics to sizes that can be stuffed into cargo at a rate fast enough to reach all people as if there's a deadline to meet? I'm pretty sure the sizes we used to see will come back, probably not in a solid object form but perhaps in a virtual form or projection-type form. I came across this page while searching for why flat TVs are going wider and even more shorter. I thought there would be a solid answer out there but I haven't seen one yet. Oh and in stuffing more onto a vessel, it's eco-friendly when you can use the same quantity of fuel to ship a lot more goods. Not the answer you're looking for? Browse other questions tagged physical screen-resolution trend or ask your own question. What is the best screen resolution to start designing website in 2014?